Medical bankruptcy is a form of relief offered by a local government to provide aid or a restructured payment plan to an individual who is stricken with medical bills. As a result of the exorbitant costs associated with medical bills, an individual (without medical insurance) is susceptible to financial crippling at the expense of receiving medical aid. Without medical insurance an individual simply cannot afford the costs associated with getting sick or injured. Medical costs not only pose a direct cost, but indirect costs as well. When an individual is sick or injured they are unable to work, and thus, obtain an income. Medical bankruptcy occurs when the cost of treating an injury, disease, or sickness greatly exceeds the patient’s, or family of the patient’s, ability to pay for the medical costs associated with treatment. As a result of the lost wages, opportunity costs, and high fees associated with medical treatment, even individuals with medical insurance commonly file for medical bankruptcy. Medical bankruptcy is only available to those individuals who are considered a “medically distressed” debtor. An individual is classified as such if at least 25 percent of their annual income pays for medical bills or related expenses. This same classification will apply to any individual who has accrued such a percentage through lost wages or if the individual has been on unpaid leave from work for at least a month as a result of illness or injury. According to the United States Bankruptcy Code, there is no formal distinction between medical debts and other forms of debt, such as mortgage or credit card debt. 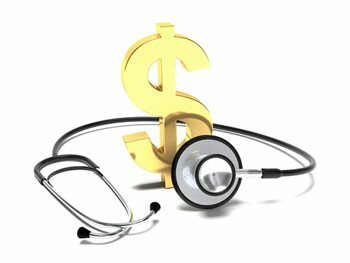 Medical Bankruptcy is typically caused by the rising and exorbitant costs associated with medical care. As is common with other forms of debt, individuals who file for bankruptcy as a result of medical costs typically will choose between a Chapter 7 and Chapter 13 program. With a Chapter 7 Medical Bankruptcy, the majority of debt (including all medical bills) is forgiven. Chapter 7 Bankruptcy will negatively affect the individual’s credit rating for 10 years. In addition, all nonexempt assets are liquidated by a trustee and distributed to the underlying creditors. A Chapter 13 Bankruptcy is considered less drastic. Chapter 13 Bankruptcy enables the individual to work with a bankruptcy court to structure a repayment plan. The repayment plan will enforce the debtor’s plan to pay off his or her debts through monthly payments over a period of three to five years. Develop a list of all the particular creditors—all medical care providers as well as any creditor associated with the medical costs. All creditors must be included in the process of filing for medical bankruptcy. Include the names of all your creditors (along with their addresses), as well as the account numbers associated with the debts. Organize your paycheck stubs and proofs of income for the past three months along with your Federal tax returns for the past three years. Collect copies of all account statements associated with debts from the various financial institutions. Decide which type of Medical Bankruptcy is most appropriate given your particular situation. Obtain all standardized forms needed to file for the particular type of Medical Bankruptcy. These forms must include the actual Petition for Bankruptcy. In addition, you must obtain the matrix for your repayment schedule. Place all information gathered from your creditors on the matrix. All forms can be obtained from your local Bankruptcy Court Clerk’s Office. Complete the forms and contact your local bankruptcy court to initiate the filing.